New during the 2015 season, a special service just for you! Have your family Christmas photo taken by a professional photographer, Mrs. Photography. 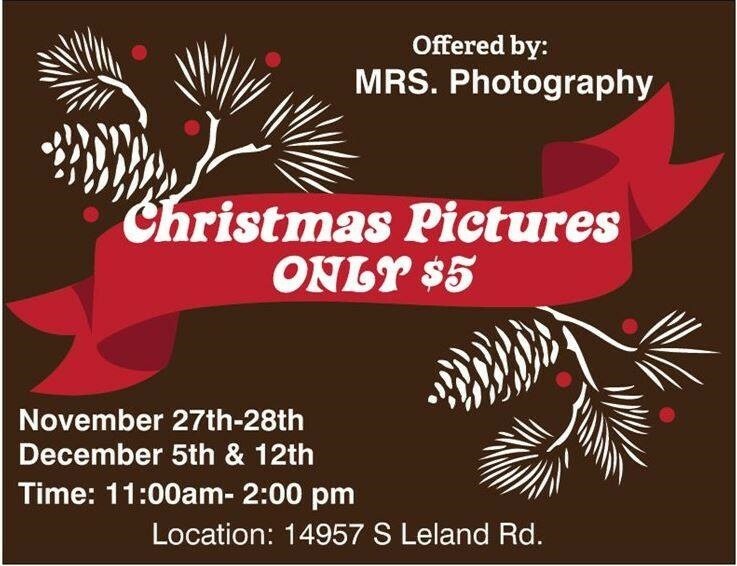 She'll set up her photo booth at our farm on Nov 27th and 28th and Dec 5th 11-2PM So mark your calendars for this special offer! 2015 U Cut Tree Season Has Begun!